Before answering your basic question, I want to describe a bit about on-page SEO. 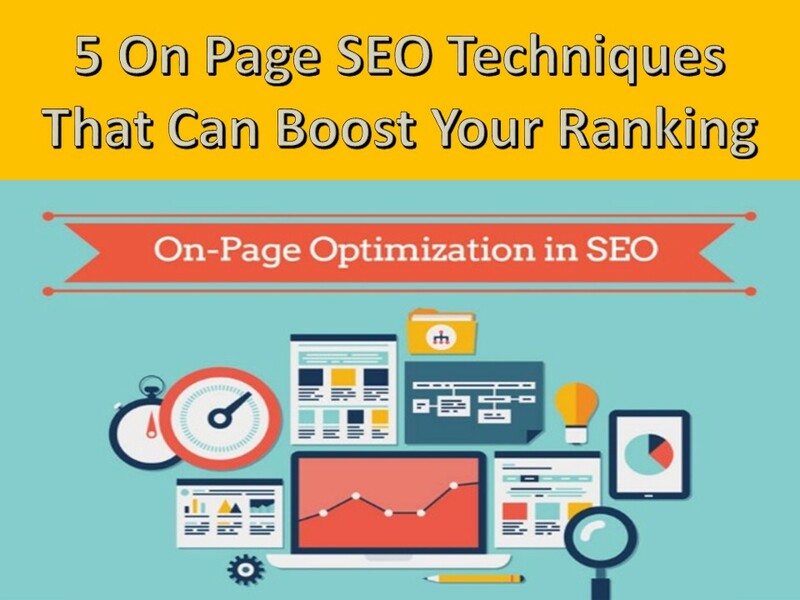 On page SEO as the name suggests is the technique a person uses on his website or blog by working on every web page accordingly. No matter how much you try to improve the site ranking if the content on your website is not good, you are not going to get any traffic whatsoever. By good content I mean, the content should be relevant to your website and every page should have a content which specifically represents that page. Content that is well researched and unique will be rewarded more than you expected. In other words, the content you should have on your website should be exactly what you always portrayed on your website or its services. Every page of your website should have a unique and effective title. Not only the title should be unique but it should be relevant to your website as a whole. The reason is that Google reads the web pages as the title suggests and the viewers come to the website only when they know what the website is all about. One addition to that could be that you write the description about pages. But, don’t make it a long sentence. Stick to point and convey the message. This is a new phenomenon, and if you want to get the traffic a lighting fast speed, then you should make the website optimised enough to work on every mobile device. Not only the compatibility of the mobile is needed but the website should be faster, or the users will go away. So, you should try your heart out to make the website mobile friendly and faster. Having a unique link for every page for your website is really good and high ranking grabber. Each page link should be unique and should only represent only the page not be ambiguous. As you can see above the link is only representing one page of the website and is not ambiguous that users don’t understand what the page is all about. Within a website, you can put many links which will take you to other websites. It is preferable that each page should not have more than 15 links. Otherwise it will representing a spam post. If all of this is making it hard for you to do it then, you can hire an on-page SEO services company who will do that for you with comfort and time management.